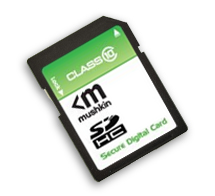 SDXC (Secure Digital Extended Capacity) is the latest high speed flash memory card from Mushkin. 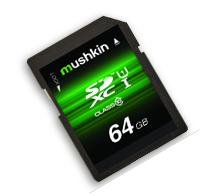 Mushkin's new line of High Speed microSDHC flash cards is perfect for the latest smartphones, and Tablets that carry a microSD slot. Capture, store, and transfer more of your photos and videos, on all SDHC host devices. 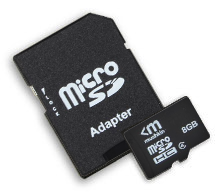 MicroSD cards let you get the most out of your cell phone, SmartPhone to download and play music, games, video, and more.